It is time to be heard. It is time to stand out from the crowd. Give that dream TED Talk. Impress your coworkers with an exciting, engaging presentation. Connect with your clients in an authentic and charismatic way. At Inspired Coaching are passionate about the magic that comes from honouring both joyful, authentic, human expression and upholding superior production standards. Inspired Coaching speakers are not only technically excellent but also heartfelt, uniquely themselves, uninhibited, joyful and fully expressive as they speak from their deepest passion. Join our community and begin your journey today towards Stage Joy! 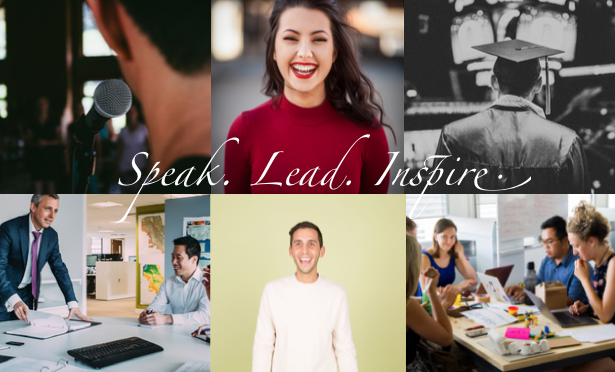 ​Learn which habits are holding YOU back from embodying your message and create new habits that facilitate confident, engaging and authentic human connection in the networking room or on the sales floor. I'm ready to unleash my voice!